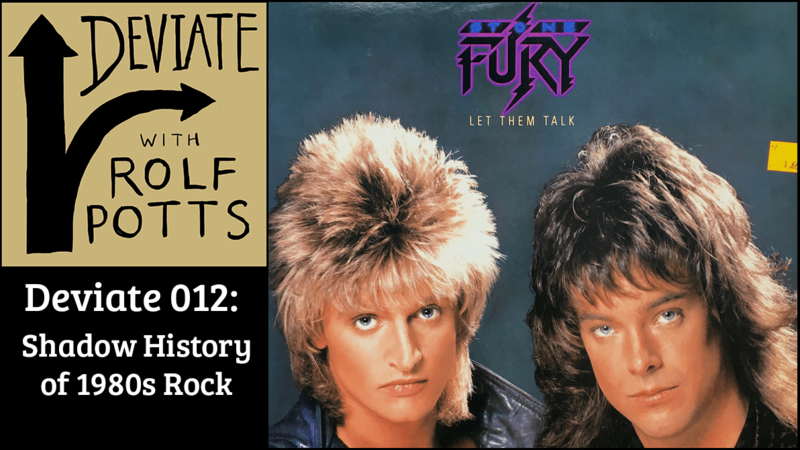 The Shadow History of 1980s Rock podcast by Rolf Potts provides us with a unique and amazing way to reflect back on music from the 80’s. The premise is that Rolf stumbles upon a stack of records from unknown bands of the 80’s that he bought 5 years ago from a thrift store in Kansas. He has on 2 guests (Jedd Beaudoin and Michael Carmody) with strong music backgrounds and the 3 of them provides us with an in depth analysis that goes down a rabbit hole of nooks and crannies with great granular detail to describe a multitude of aspects of music from the era. They do this by providing an extremely entertaining analysis breaking down one record per year that made up the 80’s decade. If you grew up in the 80s you’ll have an extra appreciation for this episode as the nostalgia will tickle your spine. The episode is so full of awesomeness covering synth rock through heavy metal and I felt providing this list summarizing their talk would whet your appetite to listen to it. Be sure to visit the episode page that provides album art and other great show notes.